We’re Celebrating 9 Years of Continued Growth!! 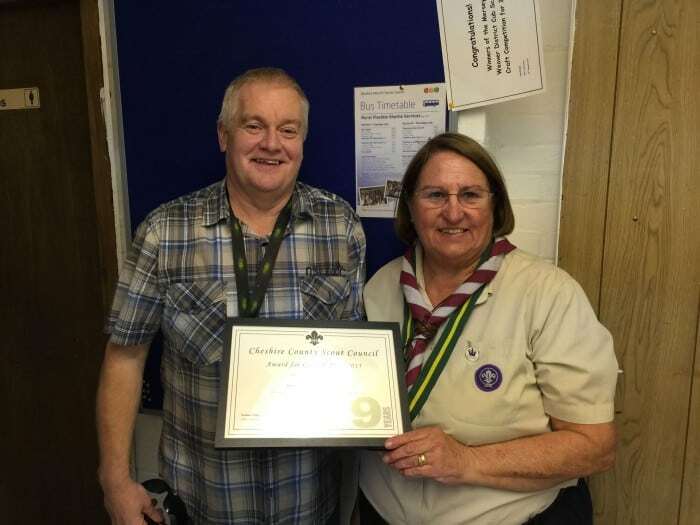 June 15, 2015 21:47 | Posted by Ashley Proctor | No Comments | We’re very pleased to reveal that 1st Ince and Elton Scout Group were recently given an award for ‘9 Years Continued Growth’. We were presented with the certificate by Owen Campbell, our District Commissioner for Mersey Weaver at our District AGM held at the end of April, and we proudly revealed our achievement to our Young People and Parents at our own AGM on the 5th June. Although not an official HQ award, these are awarded by Cheshire Scout County to groups who achieve an annual consecutive growth. We’re extremely thrilled to have reached 9 years, and we hope to continue our growth so that we can aim for 10 years and beyond! !